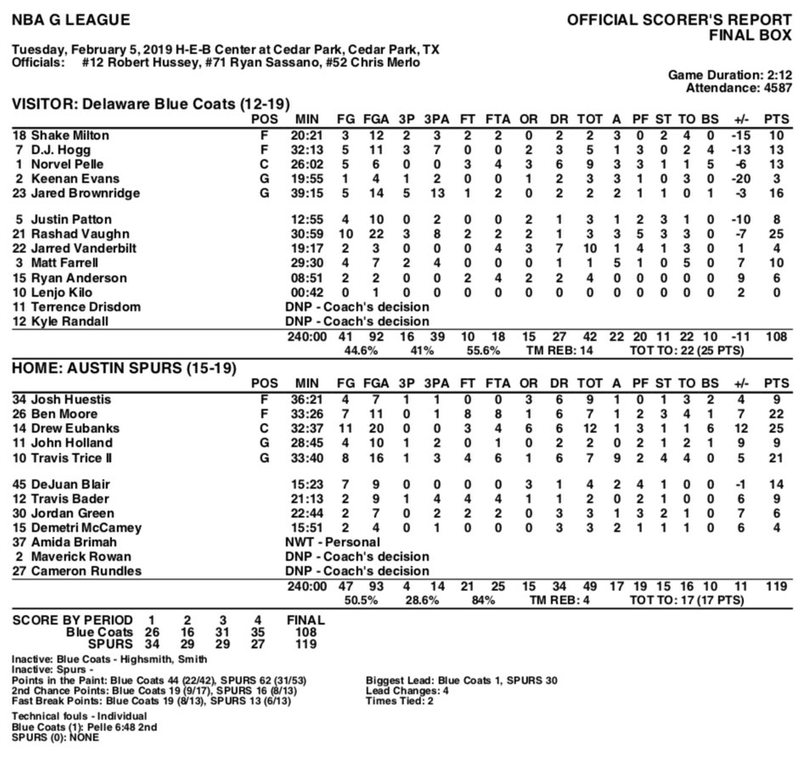 ‪AUSTIN, Texas (Feb. 5, 2019) – The Austin Spurs (15-19), presented by SWBC, defeated the Delaware Blue Coats (12-19) by a final score of 119-108 at the H-E-B Center at Cedar Park Tuesday morning. Drew Eubanks paced the Spurs with a double-double of 25 points (11-20 FG, 3-4 FT) and 12 rebounds, also adding six blocks. Travis Trice posted 21 points (8-16 FG, 4-6 FT) and a game-high 9 assists, while DeJuan Blair notched a season-high 14 points (7-9 FG) in 15 minutes off the bench. After gaining the lead halfway through the first frame, the Silver and Black took an 11-point advantage into the break with the help of Blair’s 12 points in the first half. In the second half, the Spurs extended their lead to as many as 30 points, heading into the final period with a 92-73 lead. The Austin Spurs remain undefeated (8-0) when leading after three quarters. The Blue Coats cut the deficit to nine points with three minutes left to play, but the Silver and Black held on for a 119-108 victory. For Delaware, Rashad Vaughn led all scorers with 25 points (10-23 FG) off the bench. Jarred Vanderbilt grabbed a team-high 10 boards in 19 minutes of play. ‪The Spurs will continue their current home stretch on Friday, Feb. 8 at 7:30 p.m. where they will take on the Oklahoma City Blue for their annual Black History Game. 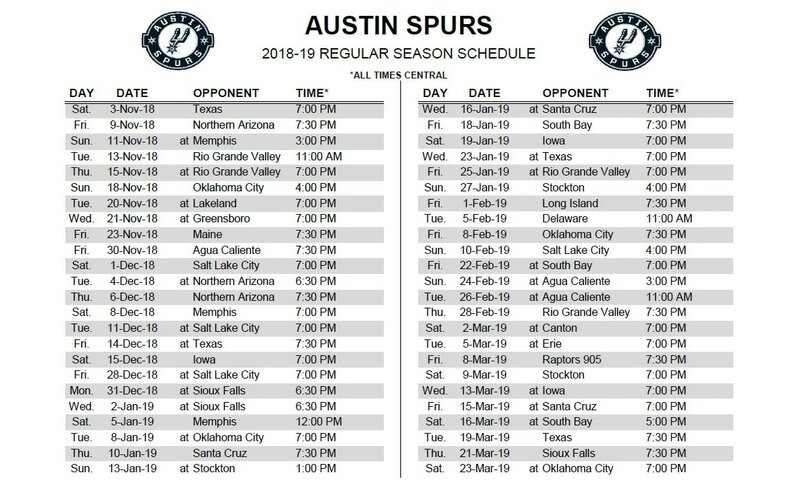 For tickets, broadcasts, or the full season schedule, visit www.austinspurs.com.